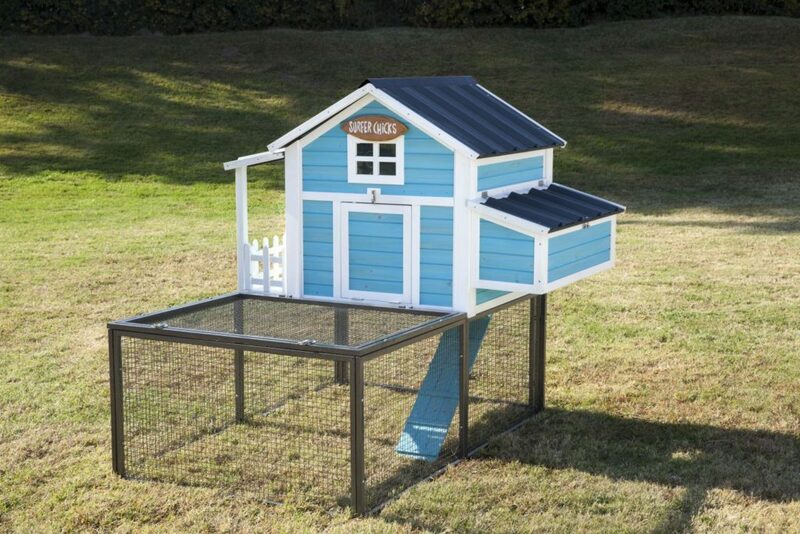 Start living sunny side up with new chicken coops from SummerHawk Ranch, now available at J&N Feed and Seed. 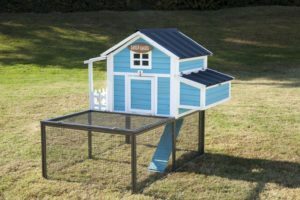 We’ve brought in the Seaside Cottage Chicken Coop and the Pacific Northwest Chicken Coop so your girls can live in style! Pacific Northwest Bungalow Chicken Coop – This design embodies a natural connection to the unique climate and landscape of the area. 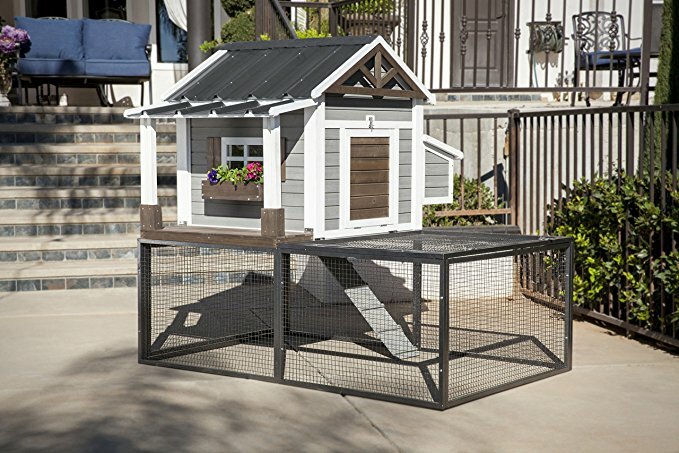 Includes a raised coop with 3 nesting boxes, roosting perch, access ladder, 2 access doors for cleaning, small planter box, truss feature on one side and a window. The 20-square foot welded metal pen features one door on top and one door at the back for easy cleaning access. 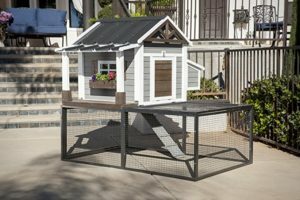 Product Dimensions: Coop- 56″ L x 33″ W x 36″ H; Pen- 66″L x 43″ W x 24″ H.
This entry was posted on Tuesday, April 17th, 2018 at 12:02 pm	and is filed under Chicks, News & Updates. You can follow any responses to this entry through the RSS 2.0 feed. Both comments and pings are currently closed.